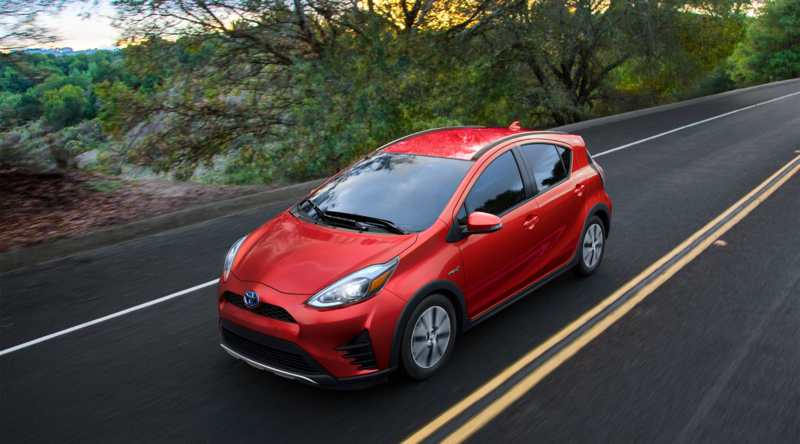 The 2019 Toyota Prius c may look small, but it’s filled with big ideas. 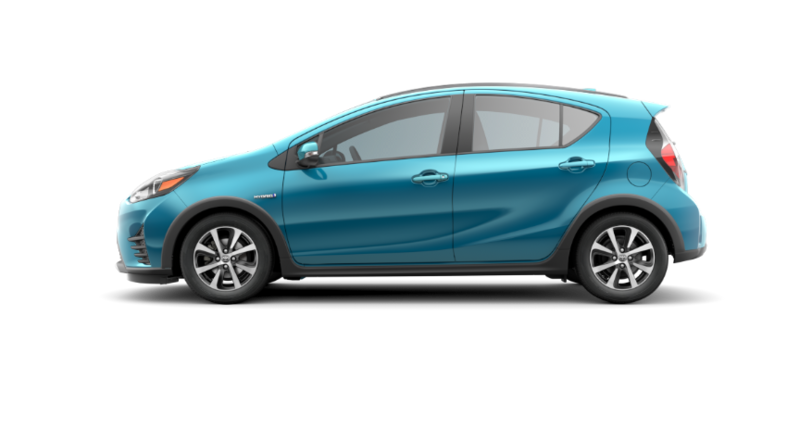 The Prius c is the smallest member of the growing family of Toyota hybrid vehicles. An aggressively-styled body kit and two-tone color scheme help you stand out from the conventional in the Prius c. The 2019 Prius c is available in vibrant, eye-catching colors such as Absolutely Red, Blue Streak Metallic, and Tide Pool Pearl. Stay connected with your tunes, your friends, and your passions with available Entune™ Premium Audio with Integrated Navigation. Inside, drivers will find a comfortable yet spacious interior with available amenities which include automatic climate control, soft-touch center console, and a Smart Key System for added convenience. 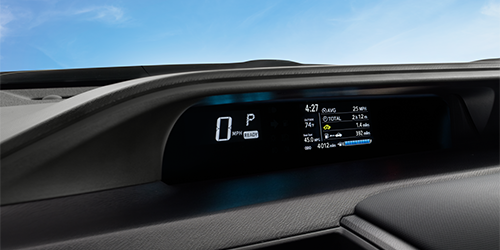 With an EPA-estimated 48 MPG city fuel economy rating**, the Toyota Prius c is ready to go the distance. The Toyota Prius c returns for 2019 virtually unchanged from last year. Trim levels have been condensed down to two this year. Buyers will have their choice of a nicely-equipped L or the tech-focused LE. 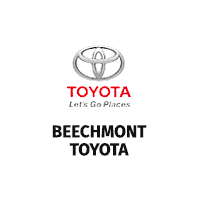 From uptown to downtown, the Prius c is equipped with proven Toyota Hybrid Synergy Drive technology which maximizes fuel efficiency around town and on the highway. There are EV and Eco Mode drive settings, giving drivers the ability to drive up to one half mile at low speeds using solely battery power or optimize fuel efficiency. One glance at the drive information, energy monitor, or ECO savings screen gives drivers access to customizable information related to energy usage. When you set out on your next adventure, the 2019 Prius c offers an inviting interior that’s both comfortable and thoughtfully designed. 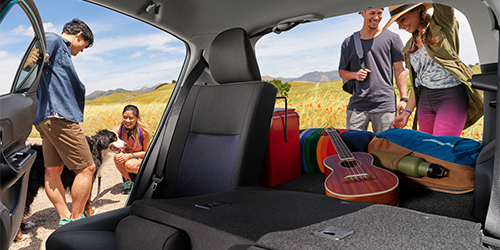 The flexibility of the 5-door layout combined with 60/40 split folding rear seats gives you the ability to fit cargo and passengers for a night on the town in the Prius c. Standard automatic climate control helps ensure all occupants will ride in complete comfort. Eye-catching two-tone cloth seating surfaces offer a perfect combination of style and ergonomics. The available Entune™ Premium Audio with Integrated Navigation features the powerful Entune® App Suite. This impressive system lets you make dinner reservations with OpenTable®, buy movie tickets with MovieTickets.com, stream music with Pandora®, and much more. A Touch Tracer Display places a duplicate image of the steeringwheel controls on the Multi-Information Display, improving tactile response without having to take your eyes off the road. 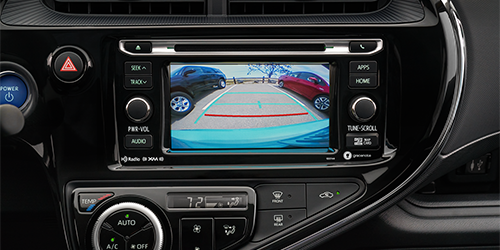 An available integrated backup camera gives drivers the confidence to fit in and out of tight parking spaces in the Prius c.